Websico help - Model - Any block can be registered as a model to be reused anywhere in the site. Any block can be registered as a "model" and be reused anywhere in the site. Any change in appearance or content provided to this model is reflected automatically to all elements built with this model, whatever their position in the site. Be careful not to confuse with a style, which only uses the same appearance. 2) Click on the button "model". 3) Name and save the model. Insert a new element in the page by choosing the desired model in the element bar. Click on Click to import models at the end of the model list in the element bar. Browse the catalog that is displayed and choose the model to import. 2) click on the button "remove from model". The main toolbar has a button to open a popup that allows to destroy or rename any model, draft or public. Several warnings and special procedures avoid deleting or modifying a model unintentionally. To change the appearance of a block without affecting the blocks that use the same model, you must first detach the selected block from the model. This block can be saved later as a model with the same name or a different name. Each block contained in a model can be defined as a "free zone", that is to say, as having a content independent from the model. Warning, it is better to have got serious Websico experience to use this feature. To create a free zone first create a block within the model, consisting of any number of elements, then select the block and click on the corresponding button. Changes within this zone will not be saved in the model, leaving the possibility of varying content depending on where the model is recalled. The framed model is used twice. A free contents area is between the two images, its composition is different in each case and can be changed without affecting the model. WEBSiCO (acronyme de WEB SIte COmposer) est un éditeur en ligne en rupture avec les méthodes classiques qui facilite la création, la publication et la gestion de pages et de sites web adaptatifs. 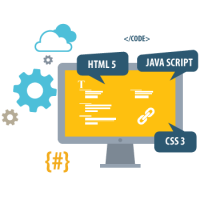 WEBSiCO (acronym for Web SIte COmposer) is an online editor breaking with the classical methods that facilitates creation, publishing and managing of adaptive web pages and websites.